Jonny Lang is an American Rock and Blues singer/guitarist. Although you wouldn’t guess from the photo on the album cover he’s in his 30s and has already had a long career, having released his first album in 1995. This is his sixth studio album, and he’s also appeared on scores of albums by other artists. He also appeared in the film Blues Brothers 2000. It’s been seven years since his last studio album (Turn around). The album is definitely one that doesn’t fit neatly into a single genre. Instead you have elements of Blues, rock, soul R&B and pop. It’s a very smooth polished sound – one that does sound at times like some of the better songs by 90s boybands. If that sounds like something you’d hate, don’t judge too soon – I personally can’t stand boybands such as Take that, westlife, new kids on the block etc, but I really like this album. Jonny Lang may have a sound on this album that at times resembles these bands but the songwriting and musicianship is far more sophisticated. The main similarity I think is probably the vocals – Jonny Lang has quite a smooth voice thats got a reasonably high pitch – a voice that would fit in most of the pop boybands. Brief comments on a few tracks.. The album kicks off with ‘Blew up’. The song starts with a lovely guitar riff that reminds me of the riff that opens The Eagles hit ‘Life in the fast lane’. It’s a superb start to both the song and the album. The song is one of the rockiest songs on the album, and is one of my favourite songs on the album. The next song (Breakin’ in) has quite a different feel to it – less rock and more R&B. ‘The truth’ is another superb song. Opening with some lovely guitar work the song is quite a slow gentle one, although it does build up the power as the song progresses. It shows a different side to his voice too – it sounds more gritty and this works brilliantly. The guitar solo in the song is great, and something that in general is quite lacking in the rest of the album. 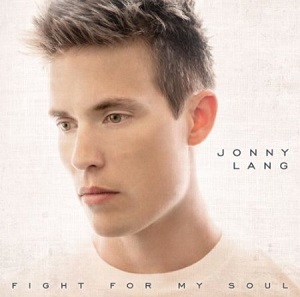 Jonny Lang’s voice is one that I can’t say I’m a fan of – it’s certainly not a voice that I’d normally choose to listen to, but having said that it does work really well on this album. Equally it’s not the style of music I’d normally listen to, but there is something strangely listenable about the album that makes it very enjoyable to listen to. That says a lot about the quality of the album – for it to be a different style of music to the ones I usually listen to, plus to have a voice that wouldn’t usually appeal to be then for me to be enjoying the album this much is very impressive. It’s definitely an album that is well worth listening to.